Laura’s Critter Care, LLC knows that for some of us, our dogs (and cats, bunnies etc.) are more than just pets – they are our best friends, companions and much loved members of the family. Your wedding day is undoubtedly one of the most important days of your life so why shouldn’t the whole family be able to celebrate it with you? Now they can! You’ve chosen your date, selected flowers and said yes to the dress! Now you’re ready to say your vows in front of your loved ones and that includes your PUP! Let us bring your pooch to your venue, walk them (to release their jitters) before they walk you down the aisle (and prevent accidents) or before picture taking, feed and water them. We’ll even bring them back to your place after the ceremony so you don’t have to worry about a thing! Unlimited walks, feeding, watering and we will come to your rehearsal (you bring your dog) to have a thorough run-through at no extra charge (1 hour). The day of, we will wipe your pet down and freshen up with a splash of doggie dry shampoo for a dapper look! We’ll even bring the bowls and water. Laura’s Critter Care, LLC works with you and your cherished dog so that every member of the family can be included in your wedding celebrations. Together, we can prepare your dog so that he can be one of the wedding guests too and have him included in your wedding photographs. We can discuss whether or not you’d like your dog to have a key role, such as a greeter outside the church or even ring bearer at the ceremony. Laura’s Critter Care, LLC co-ordinate every element ourselves, so you can leave all the planning to us. *Some churches and venues are more dog-friendly than others – if you haven’t already booked then make sure that you stipulate your plans to include your dog before finalizing your booking. On the day of your wedding we will pick up your dog so they are one less thing to worry about while you are busy getting ready for the ceremony. 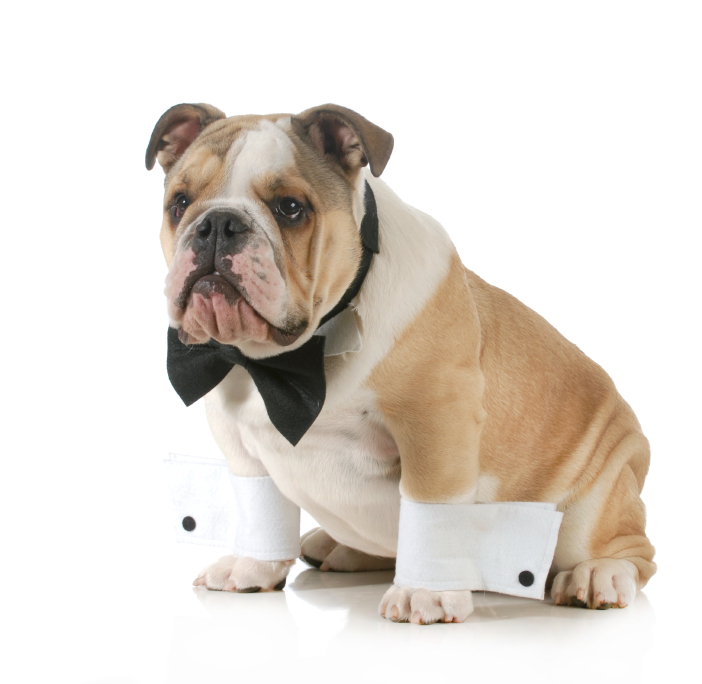 Laura’s Critter Care, LLC will ensure that your dog is freshened up, exercised and is ‘dressed’ in their special collar, corsage or our free bow tie rental, ready for your big day. 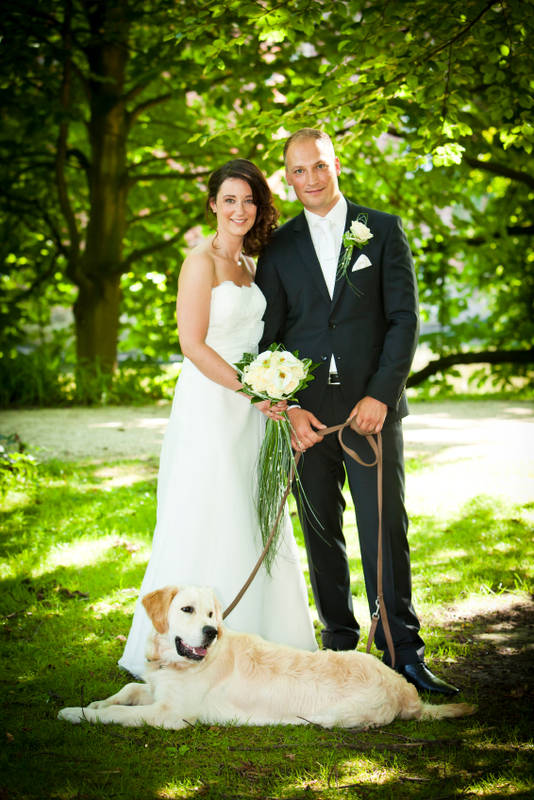 Your dog will be cared for until you are ready to have him or her included in your ceremony and/or photographs. Laura’s Critter Care, LLC will also care for your dog for the remainder of the day so that you can celebrate into the evening without worrying about him or her being left at home alone. The pet care would be either at the celebration or in home visits at your home. *****Ala Carte services are also provided for your special day. Also packages for other types of pets to be included in your special day. Call us at (716) 425-8357 for free telephone consultation. If your dog can’t be with you on your wedding day, Laura’s Critter Care, LLC can look after him or her at home and treat them to a special pamper day all of his own! See our petsitting services for more information.